For Breakfast #1 I of course had to have my favorite Macadamia Nut Pancakes with Pineapple Sauce (listed on the above menu as the Specialty Pancakes). But there was another entrée that caught my eye and it was for this reason that I was here for a second breakfast during one trip. Sadly this was a disappointment. The French toast was overcooked, with dry, burnt edges/crusts. 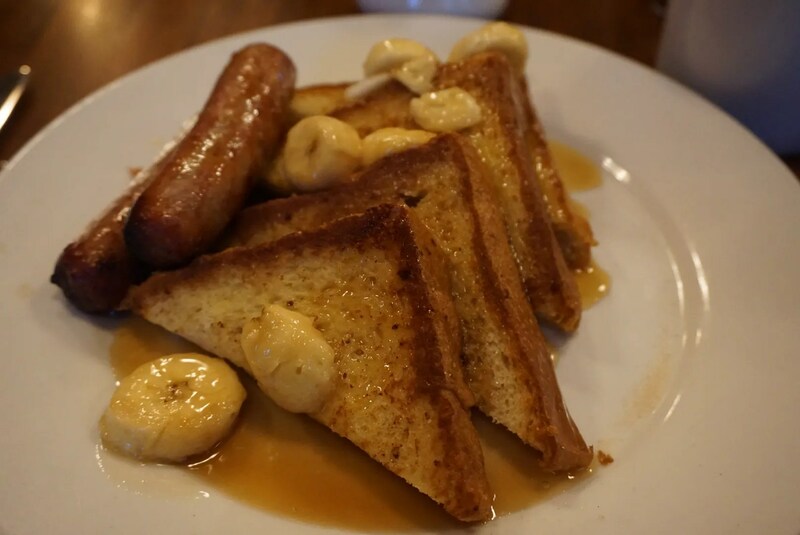 The caramel-banana sauce improved it but it still wasn’t great. As usual, I really liked the sausage that is served at Kona. 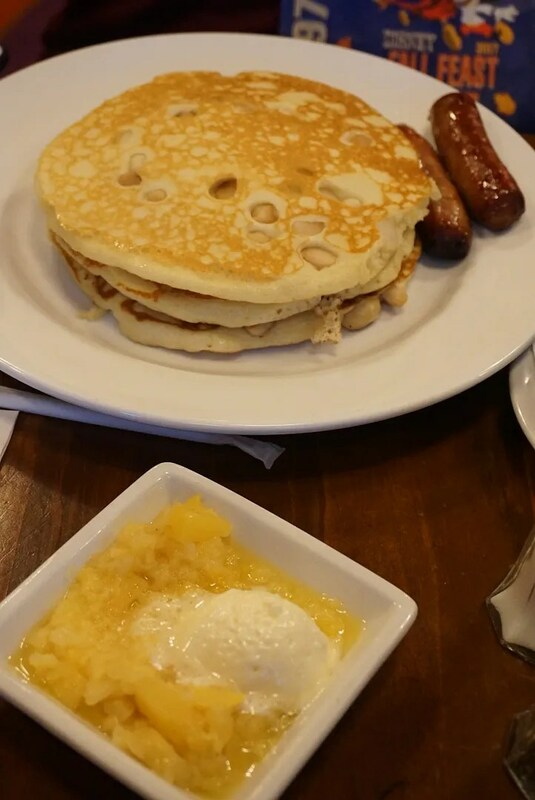 Paula requested and received that the sauce and butter be served on the side instead on top of the pancakes. She enjoyed her pancakes and sausage and I was of course, very envious. So lesson learned. 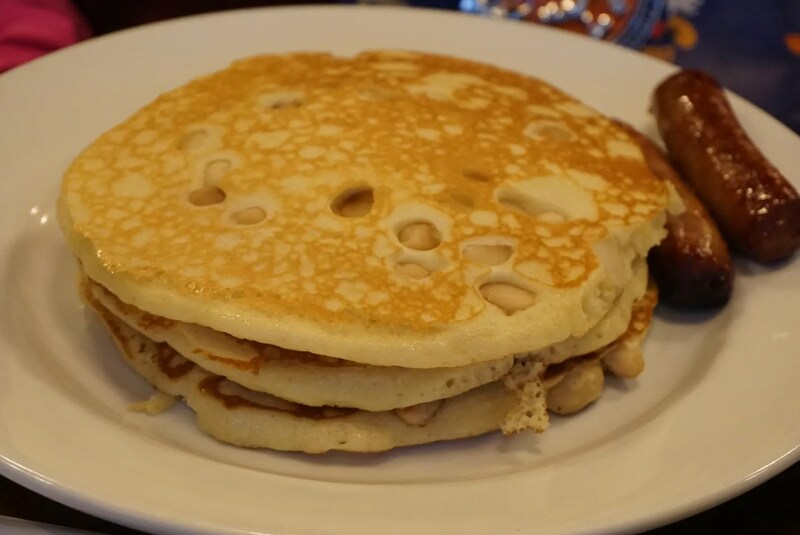 From now on I’ll stick to the macadamia nut pancakes for breakfast at Kona Café. Unless, they add a new entrée to their menu that I just have to try. So that just leaves the ratings and rankings. My rating is mixed. 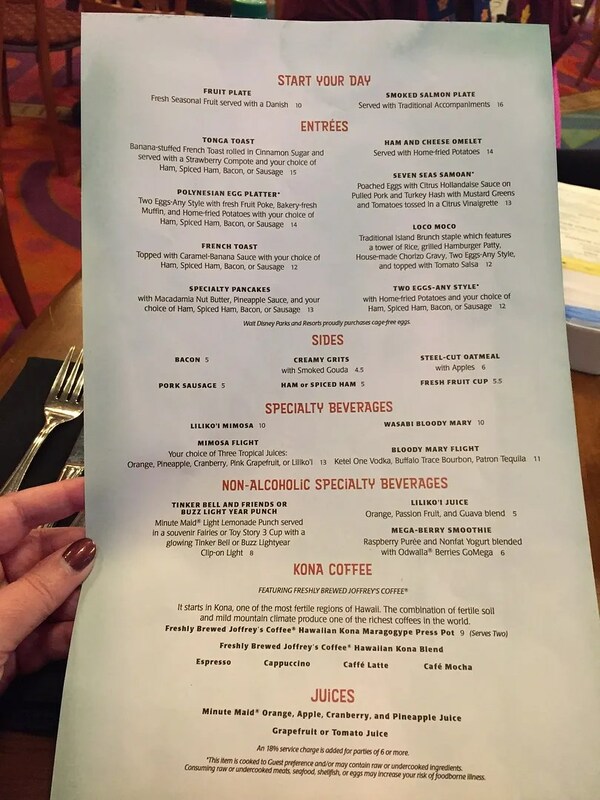 Based on Breakfast #1 (the pancakes) I would rate Kona Café a 4 1/2. However, my Breakfast #2 (the French toast) would only rate a 2 1/2. 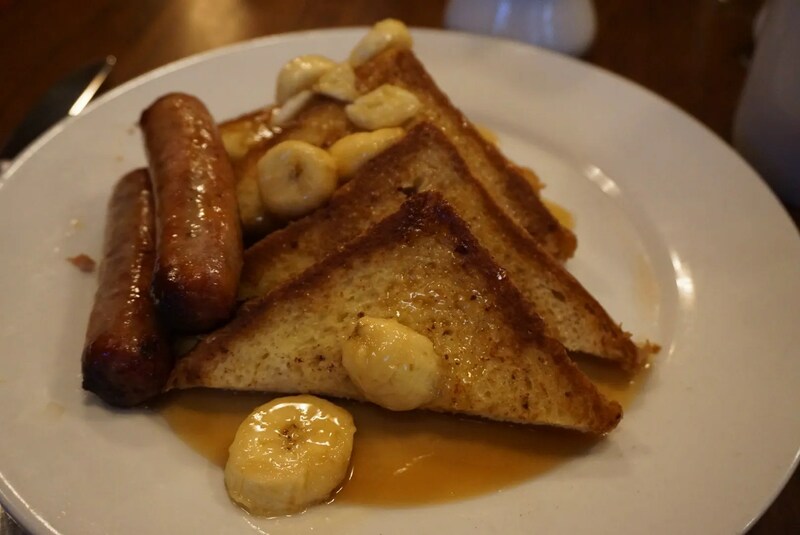 As for the reviewers on Yelp and Trip Advisor, both give Kona Café a rating of 4. 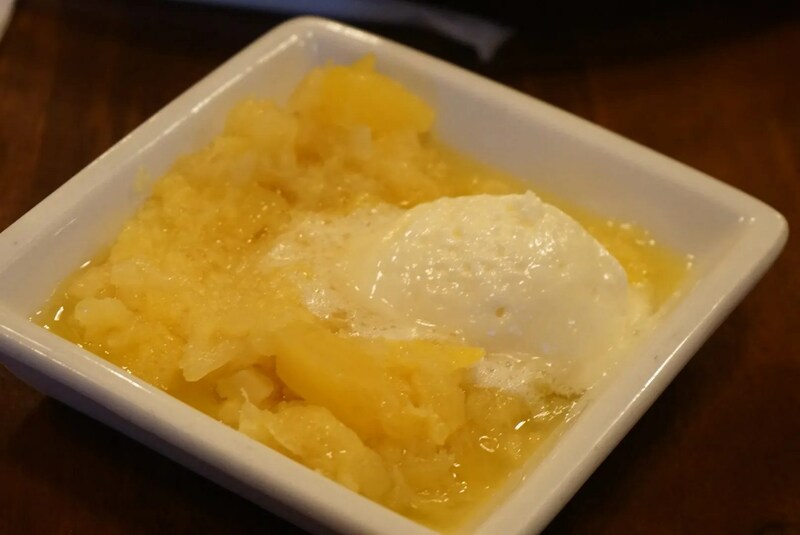 Kona ranks #362 of the 3,000 Orlando area restaurants reviewed on Trip Advisor, or #108 if narrowing it to just the Disney World area restaurants.